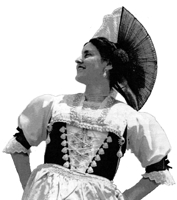 Information: Fred and Robin (see photo above) Witsche, teachers of Swiss folk dances. Published by the Swiss Folk Dance Society in New York City. Drei Lederne Strompf, to Michael and Mary Ann Herman. 1972-1974  PhD from the University of Chicago.